At the Lucas Fox Menorca office we have an attractive catalogue of properties for sale and our professional and experienced international team of real estate agents will gladly help you find your dream home on this beautiful island. 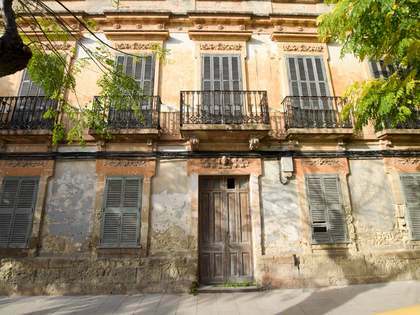 The members of the Menorca team all share a passion for real estate and, having accrued several years of experience working with significant real estate agencies, they boast in-depth knowledge of the area and its property market. At our office we can attend clients in various languages, thereby offering many international clients the comfort and convenience of carrying out a real estate transaction in their own language. Listing only the finest homes for our discerning clients, with a particular focus on location and exclusivity, we provide a highly professional level of service, always aiming for complete client satisfaction by taking the time to understand each and every individual's personal requirements. Our properties are mainly located in the coveted coastal areas of Sa Farola, Cala'n Busquets, Cala'n Bruch, Cala'n Blanes, Son Oleo, Son Blanc, Sa Caleta, Santandría, Cala Morell, Cala'n Bosch, Son Xoriguer, Cap d'Artrutx, etc, and in Maó for example in Cala Llonga, San Antonio, San Clemente, Es Grau, Cala Canutells, Binixica, etc. 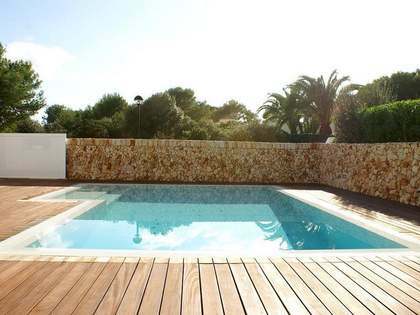 The most highly sought after types of property are seafront villas with pools, centrally located penthouses and duplexes in Ciutadella, as well as houses with patios in the old town both for residential use and as boutique hotels. Country houses and rural estates legalised both for residential use and for rural tourism hotels are also highly sought after. We have a range of newly renovated homes and exciting renovation projects with enormous potential. Whatever the client's requirements, we strive to provide an impressive array of select properties for them to choose from. Menorca, despite its small size, has the greatest variety of unspoilt beaches in the Mediterranean in terms of conservation as the island’s policy on environmental protection sets it apart from other islands such as Ibiza and Mallorca. 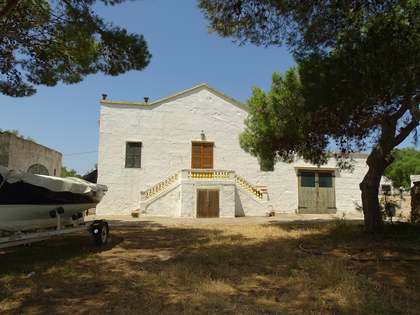 A haven of unspoilt beaches, nautical activities, traditional festivities, great cuisine and spectacular sunsets, it is easy to see the draw to Menorca and the desire to own a small part of paradise by acquiring a home here. 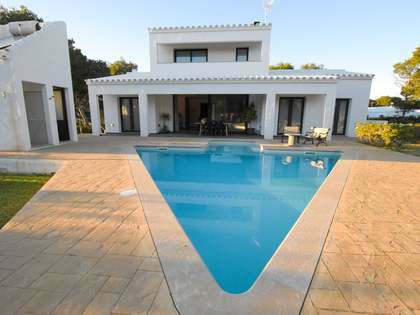 Menorca real estate appeals to a variety of clients. Retirees come to settle here all year round or to spend six months alternating with their city of origin, while the island has also long been a favourite among families due to its safe, clean and child-friendly environment. Some national and international buyers combine investment and personal pleasure in Menorca by acquiring holiday rental properties and hotels that provide a generous income and a place to enjoy their own holidays. Along with the constant demand on behalf of national investors, Menorca is also gaining interest among international buyers such as the French, Italian and Northern Europeans, who have come to appreciate the island’s undeniable beauty and wonderfully laid back atmosphere. If you are interested in buying or selling high-end property on the island, feel free to contact us at the Lucas Fox Menorca office today where we will be happy to assist you.